For this extra special WeekendHaunts event, we have exclusive use Flitwick Manor - one of the most beautiful Georgian hotels in the UK. 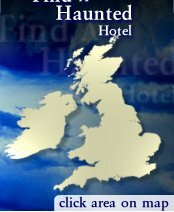 The hotel is steeped in history and is said to be haunted by a number of spirits including the Old Housekeeper: When builders were working on Flitwick Manor and the Old Housekeeper's usual room they found a small, concealed room hidden behind some panelling which seems to have been servants' quarters - possibly, the Old Housekeeper's original bedroom? This extra special, exclusive use WeekendHaunts event will begin with your arrival at Flitwick Manor on Friday in time to enjoy a delicious 3 course dinner. There will then be a Q&A session and a walk-around preliminary investigation prior to the main event involving our medium plus psychic entertainment. On Saturday you are free to explore the town of Flitwick or just relax in the lovely surrounds of Flitwick Manor. Alternatively you can take part in our Psychic Workshop where you will learn, amongst other things, about spirit guides and mediumship and you will be able to use the skills you have learned later that night. If you're looking for a truly special weekend, then join us on this WeekendHaunts event at beautiful Flitwick Manor.